Cynthia Alaniz, elementary librarian, at Cottonwood Creek Elementary in Coppell ISD, in Texas, is a shining example of what a school librarian can be! She participates in #txlchat Twitter chats, shares books that she reads across several social media platforms, including Facebook, and encourages participation in various conferences and special literacy celebrations. Her presence on social media highlights all the wonderful things librarians are doing in school librarians all across the world! Cynthia reads and shares children’s/MG/YA titles. 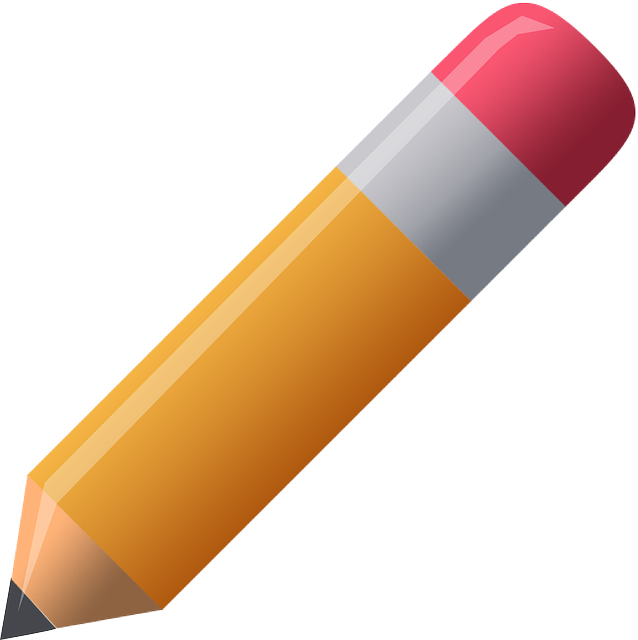 Cynthia writes frequently and enthusiastically on Twitter and also very thoughtfully and inspiringly on her blog. Her lists on Goodreads are extensive and useful. Cynthia’s enthusiasm for reading and connecting readers with the right books is simply contagious. I see her posts about the love of reading on a daily basis and know that her students are so blessed to have such a passionate librarian. Her posts always make me consider what more I can do to support the readers in my school. Cynthia models for all of us the importance of our own reading lives and sharing that with others in the name of benefiting the reading lives of our students. She shows that reading is an important part of being future ready. Cynthia’s love for books and reading is so evident and contagious! She is constantly sharing what she is reading and what she wanted to read. She shares what she reads too her students and what they are up to in the library. She is a true advocate for literacy in the library and beyond! I am so lockout that she is in Texas and shares not only via social media but at conferences as well! 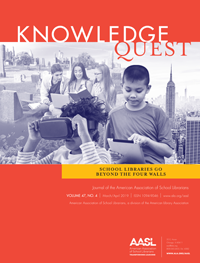 I first saw Michelle Luhtala present at an AASL conference, and I was truly inspired with the library program that she creates for her students. Michelle doesn’t just have a “library curriculum”. She creates a program where all students have a voice and work together to make the library a place of creation and sharing. She constantly seeks ways to make the library resources more visible to her library members and she openly shares this process with other libraries around the world so that they make their resources visible as well. In addition, she harnesses technology so that she can be in constant communication with her students even if they need help in the middle of the night. When she shares, she inspires us all to take a look at our libraries and how we can increase access for students and create a curriculum that truly connects to the needs of our learners. When I have read posts by Cynthia Alaniz, invariably, I must add to my list: books to read, strategies to consider. I am reminded of the power and joy of making connections between readers and texts and why we do what we do. I am fortunate to have Cynthia in my PLN and know everyone else who reads her posts feels the same. Cynthia has such a genuine love and passion for books. It is very important to her to share that love with students, teachers, colleagues and peers whether it is in person, during lessons, on twitter, facebook or her blog. She always makes me look at a book in a new way. Whether it is presenting at a conference, moderating an author panel, serving on a committee, Cynthia has a drive that keeps her working on multiple projects at once. Her advocacy for reading is truly inspiring. I took a class with Michelle at Southern CT State University. I am not surprised at all by everything she has accomplished. She was always dynamic in class and continues to be an inspiration to me and others. She is always ahead of the curve and willing to help others. Thank you Michelle for being an inspiration!! Susie is an amazing communicator. As a member of the Association of Indiana School Media Educators (AISLE) I’m aware of opportunities for professional development on a regular basis. Not only does she tweet and post to the listserv, she keeps principals and other school educators aware of the importance of Media Specialists to our students by running the Middle Level Educators association. In addition to her roles listed above she has also served on the selection committee for the Young Hoosier Book Award books. Cynthia is my #TLBFF and someone I have relied on for years as a #kidlit expert! We met online and only connected IRL after she became an integral member of my #PLN.She reads more than anyone I know (and, I know A LOT of readers! ), but even more than being well read, she is thoughtful and thorough when it comes thinking critically about books and the impact they can have on children. She is the consummate advocate for literacy and getting the right book into the hands of the right reader! Thank for your years of friendship and your consistent presence on social media reminding us what an amazing librarian can do!!! 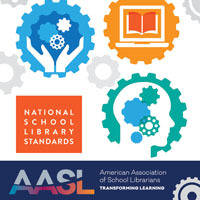 I first met Michelle Luhtala on an AASL site visit the year the New Canaan (CT) High School Library earned the National School Library Program of the Year. What impressed me most during that visit was that Michelle and her librarian colleague coplanned and cotaught with classroom teacher colleagues curriculum-based units of instruction. Michelle has used her social media presence (and her @edwebchat Webinars) to further promote her commitment to ensuring that the school library program is central to the learning and teaching mission of her school. She provides an exemplary model for other school librarians to follow. Michelle is a rock-star librarian in so many ways! Her masterful use of social media (facebook, twitter, instagram, multiple blogs, and more) to advocate for library media programs and share the good work of her students and colleagues is just one of her many gifts to library media. 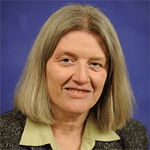 Michelle Luhtula is an innovator, leader, and pioneer in the field of library education. She truly goes above and beyond her role as high school librarian to foster an atmosphere of learning and transformation. Michelle’s passion is apparent in all that she does, and I’m honored to call her a colleague and friend. Susie is dedicated to sharing her knowledge with the librarian community. She is on a statewide Professional Development Committee and is constantly helping us hone our offerings to school librarians to include leadership trainings, basic library training for school library workers with no formal library education as well as trainings on all things technology and cutting edge. Go Susie go! She is a treasure. I don’t know anyone more deserving of this award! In my 9 years as a school librarian, Susie Highley has been my model of what a true 21st century school library media educator / teacher-librarian / librarian should be. I have attended numerous sessions at conferences, unconferences, workshops, etc…where Susie presented about how she uses social media and technology to enhance her library, her school, her curriculum, and her own personal development. Susie uses social media to enhance not only her own curriculum; but goes above and beyond when it comes to sharing what she has learned to enhance others social media awareness as well. There is not a day that goes by that Susie isn’t sharing a webinar, a Voxer group, a new Twitter chat, or another great social media tool that will help me as a school librarian and educator to do my job more effectively or to help me provide PD for my students, teachers, and administrators. Susie truly does her best to immerse herself in social media so that she can meet the needs of those she works with. She is a champion educator/librarian in our state and the resources she brings awareness to have helped me professionally and personally. As a member of AISLE, I benefit greatly from the curation of invaluable resources that she collects in her AISLE Diigo account. She maintains a PD calendar so that when I have a moment for some quick PD, I can log on to find out the Twitter chats and more that might be happening that day. The greatest thing about Susie is that she has never been asked to curate, share, or present these excellent social media opportunities; she does it because that is just Susie. She has seen the power of social media in curriculum, in PD, and in life and she just wants to share the great things she has learned. Thanks for representing Indiana libraries and all that you do! Susie Highly is wonderful! I have learned much from her bringing PD to my attention. She’s a one sto shop!! Susie Highly is a top-notch educator that keeps me and countless others informed through various social media avenues of all the PD opportunities available. In addition, she is a valuable resource for anything library related. I don’t know what I would do without her expertise. Susie Highly is a fountain of knowledge and is always willing to share her knowledge. She is fantastic at making school media specialist know of upcoming PD opportunities. Thanks for all you do for the school library community! Michelle’s Webinars are awesome! The work she does with her students is amazing and the assistance she provides for New Canaan High teachers helps ease their job and enhances what the students can learn and how they learn. Thank you Michelle for all the work you do. Michelle truly has a passion for the work she does with students. She has a plethora of ways she makes herself available to her students and the New Canaan High teachers. Her ability to make teachers jobs easier and students feel challenged yet able truly sets her apart as an integral part of the school’s library program. Susie is one of the most dynamic educators I know. She deserves all accolades as a social media champion. Her advocacy work for our profession has been instrumental in our progress made in Indiana. Kudos to Susie! When I see a message posted by Susie Highley, I always pay attention. She brings new, helpful, and motivating information to me and others around the state on a regular basis. Susie presents as well as attends state conferences. She stays active in various professional groups. As a result, she knows what information will be valuable to the rest of us and she takes the time to share it. Thanks, Susie! Susie Highley is so deserving of the recognition as a Curriculum Champion! I have corresponded and chatted with Susie regarding many school library topics since I entered the field four years ago. Susie is constantly sharing information via social media to make all of us better librarians. At the core, she is extremely helpful and wants what is best for all students, and she accomplishes this goal by bringing librarians and educators information that enables us to grow professionally in the field. Susie Highley advocates for ALL learners in Indiana. I appreciate the work she completed with the Hoosier Family of Readers. Whenever I see an email from Susie, I know to pay extra attention. Whatever the subject, it’s going to be good stuff! Michelle is a fierce advocate for her students and incredibly thoughtful about the way she adopts technology to creatively teach research skills in both the library and the classroom. She’s an inspiration to her colleagues and students! Cynthia Alaniz has a passion for books and sharing this love with everyone she meets. She is happiest when she is reading and reviews/shares with anyone who will listen about each new book she reads. The learners at our school LOVE library day and listening to stories with Mrs. Alaniz. She is a master at her craft and is frequently invited to present at state and national library conferences or join in on Twitter chats. Cynthia loves sharing with and learning from her social media PLC’s. She is known as “The Librarian in Cute Shoes” on her book blog and shares almost daily via Facebook and Twitter about her latest reading(s). I am honored to work with and learn from such an amazing librarian and friend! Cynthia is the queen of the library! She offers so many amazing digital and print resources to connect with whatever we are teaching. I know I can count on her to tie in a book! I love how she’s always connecting with my team and plans virtually with us, offering her expertise and read aloud’s for every subject area! I also wear a ‘mom’ hat and have a very avid reader who LOVES going to the library to check out multiple books- she puts no limit to his love of reading/checking out as many books as his backpack can hold! Finally, Cynthia implemented a makerspace area in the library each Friday at Genius Hour, and has various stations set up around the library with ‘fun’ activities for our learners to plug in creatively or sometimes to challenge themselves- this inspired me to start a craft Corner in my classroom and begin implementing choice stations in the morning as opposed to mundane packets or worksheets…. she’s truly a gem to our school, and always is on the hunt to connect us globally! To work with Cynthia and know her, is such an asset! She’s filled with a wealth of knowledge!!!!! I hate webinars, but sign up for Michelle Luhtala’s because they are informative, energetic, and responsive. I learned so much about modern day research papers by listening to and view her presentations on them than I did in several years as an editor for the MIT Press. 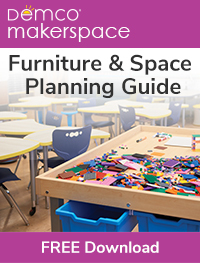 I have been very interested in the MAKER movement since MAKE magazine was first published but was quite taken with her report on transforming library space into Maker space. She not only innovates but, more importantly, shares so that others can, too. Cynthia is a true library leader and curriculum champion. She is a frequent participant in #txlchat and gladly shares her knowledge with others. Cynthia Alaniz is in her element and truly following her passion as an elementary librarian. Her love for books radiates out to all that she comes in contact with in person or virtually. She inspires all that she meets to fall in love with characters in a book and enjoy the journey of reading. Cynthia’s kind spirit is genuine and can be seen in all that she does. She is a true gem! A couple of years ago Michelle convinced me to join her in presenting a webinar on learning management platforms. It was my first ever and it was great fun. Last year, she convinced me to join her and a student on a podcast to share our school’s early triumphs and struggles in getting a the library’s maker space up and running. Also a first. Also great fun! Over the dozen years I’ve worked with Michelle, I’ve watched her exploit dozens of social media possibilities in dozens of ways to help our students learn and bring our teachers in as partners on the latest tools. She has done it with unmatched enthusiasm and with the keenest eye for what might support our students’ learning and growth: their research, their analysis, their organization and their creativity. My social studies department’s many performance based projects, from “Are you what you eat” to “Collapse” to the “Global Pitch Project” would not have found their footing without the creative, vital ties to the world Michelle has helped us to build through social media. Michelle is a leader in K12 library technology innovation, and is a tireless advocate for solutions that benefit her students. Through insight and persistence she compels electronic resource vendors to adjust their products for easier access by her students. Besides all of that, she is a real pleasure to work with on the eResource Advisory Task Force. Susie has been extremely influential on my work as a librarian. She quickly welcomed me into the community of Indiana school librarians. I see her emails frequently on the AISLE listserv. She shares newsletters, PD information, curricular ideas and other helpful information routinely. Cynthia’s passion for reading, books, and her learners is absolutely infectious. I have never met a librarian or educator so dedicated to their craft. I have counted myself lucky to have been able to befriend this talented lady as well as watch her interact with my students. She creates an environment of acceptance and excitement for books and finds a way to always connect her learners to the world of books and readers around them. She really makes reading a priority for her learners and keeps her content relevant. Her posts keep us excited and informed as educators and I’m so grateful for her! Cynthia is an amazing librarian who is a “go-to” person for me when searching for just the right book or a great library related idea. Her blog posts are thoughtful and full of book suggestions, celebrations & more. A topic I am enjoying right now that she is posting on social media (blog, Facebook & Twitter) is how what she is doing in the library ties in with Future Ready Libraries. It is also helpful for other librarians when she shares her experience of supporting genius hour projects in the library. I appreciate all that Cynthia does to promote libraries, love of reading, and a student centered library program. I have had the honor of working with and learning from Cynthia for seven years. In that time I have watched her transform from a connected educator to a future ready librarian. To see someone living their passion is an inspiring thing. Cynthia not only lives her passion, but encourages others to find their own passion through reading and literature. I can’t think of anyone else more deserving of this honor. I love Michelle’s webinars. They prove that her librarian position goes way beyond New Cannan High School campus. I have also met her students who speak so highly of her and have truly been inspired by her role at the school. Michelle is multi faceted as an educator and is an exemplary teacher. Susie Highley has a heart for media education and all they can do for students and is willing to share her expertise. What more can you ask?! As the principal of Cottonwood Creek Elementary, I have the honor of working with Cynthia Alaniz on a daily basis! She is passionate about literature and shares this passion with the staff, students, and families of our school community. The children at CCE adore her! They look forward to visiting the library where Mrs. Alaniz always has something fun and engaging to share. Cynthia is a lifelong reader and learner! She is always sharing the “latest and greatest” in the world of children’s literature. She is creative and imaginative and uses her talents to make every day a fun day in the CCE library. As a passionate librarian, she also shares her thoughts and ideas through technology and presentations. She has presented at countless conferences and seminars and has served on numerous panels. We have collaborated several times on school-wide initiatives involving children’s literature. Each time, I found her to be hard-working, dedicated, and willing to do whatever was needed to instill the love of reading in each and every child. Cynthia Alaniz is truly a principal’s “dream” librarian! She lives and shares her passion for children and literature every day! What a fabulous example to all school librarians! She is so deserving of this honor! As a new librarian, I am so thankful for Cynthia Alaniz! I follow her on social media and am so grateful for her posts. I love reading her blog and always come away with wonderful ideas and book recommendations for my own library and students. She is awesome! Cynthia is always so good to my special needs learners. She takes the time to find out what they like and help them find exactly what they are looking for. We are so lucky to have her on our campus! It is an honor to partner with Cynthia at our school. She is always looking for ways to assist our 2nd Grade team with planning for our learners and she is always has a fabulous read aloud for them. She is continuously working on ways to encourage books, books, books!!! I feel she is perfect to represent this honor!!! Cynthia is the most amazing librarian! She is always willing to share and help our educators and learners with any project. She is a valuable resource that I use on a regular basis. Her love of “all things books” is evident in her actions and words, and she is willing to share that with everyone. She is a social media champion! She globally shares all of the wonderful things that are happening in our library. We are so fortunate and blessed that she is on our campus. Cynthia is just an amazing librarian and very passionate about what she does. Her love for books and her knowledge of what books are about just amazes me. Our learners at CCE become interested in books because of her having read the books and being able to share the unique themes behind each one. We are blessed at Cottonwood Creek to have authors come to visit because of the connections Cynthia has made. We have also been involved in Skypeing, and she is globally connected. What a wonderful representative Cynthia would be! I have worked with Michelle the last several years as a vendor and she is always at the forefront of innovation in the library space. More importantly she is one of the most kind, enjoyable and intelligent people whom I have had the pleasure of communicating. It’s always a very positive conversation each and every time we meet and she cares so very much about how the students are doing with research in library in every step of that process. The library world is lucky to have her as one of its champions. Cynthia Alaniz is an exemplary school librarian. She loves children’s literature and is enthusiastic about sharing it with the students and teachers at our school. During her weekly lessons with my first grade students, she shares great books with them as well as teaching them research skills, information about authors, etc. She is always willing to pull resources for any unit we are teaching. Cynthia is truly dedicated to her profession. She can be found in the library well after most teachers have left the building. She spends her evenings and weekends reading children’s literature, blogging about books, and attending numerous meetings and conferences related to being a librarian. I don’t think I’ve ever met anyone as dedicated and passionate about what they do. She truly deserves this honor! I’m happy to see Cynthia here because her focus on literature is truly inspiring. As school librarians, we are asked to fill many roles, and Cynthia never loses sight that reading is foundational and must be at the forefront. Cynthia’s commitment to sharing wonderful books with colleagues so that ultimately children will find these titles is inspiring. Her enthusiasm is contagious. Just writing about her makes me want to check twitter to see what she’s recommending now! While all three of these librarians represent who I want to be as a professional, my colleagues and I are Michelle groupies. I have attended her sessions at conferences and watch her webinars when I can–archive to watch later when I can’t. She is an innovator, an educator, a collaborator–and a true library scientist, all of which are obvious in the programs and projects and processes she has shared over the years. I especially appreciate her efficiency–she explains how something works in her library, or the usefulness of tech tools, or how to track student research in a way that allows us to steal, adapt or otherwise implement the idea in our own setting. She is a gift to the school library community! Cynthia is the epitome of a CURRICULUM CHAMPION! She is a master at creating ways to build literacy, and she LOVES sharing those ideas with others. I am fortunate to call Cynthia a colleague and a friend. Michelle is a true visionary for our profession. I have shared so many of her ideas with fellow teachers to enrich our media center and the kids we serve. GO MICHELLE! I was attracted to Ed web by the Librarian group. Excellent work by Michelle. Now I lead a handfull of communities. See the progress. One day I will present online webinars like her. Michelle Luhtala is a consummate library professional. I have participated in several of the edWeb webinar offerings hosted by Michelle. Her work is remarkable, targeted, and exceptionally relevant, not only to those in the library profession, but also to the larger population of educators (and ultimately students) who learn from her expertise. Her work is referenced repeatedly in my own practice. I genuinely appreciate her willingness to share her knowledge so freely for the good of all. I have had the opportunity to work with Michelle Luhtalah and know first hand that she is a thoughtful practitioner who is a leader in our field. I am a big fan of her YouTube videos. Michele Luhtala has been an inspiration and change catalyst for school librarians for years. But recently, her vision and intelligent assessment of the place of social media in libraries and with students in the classroom has been a great asset to our profession. I highly recommend Michele for this honor. She speaks for all of us. As a fellow High School Librarian, I saw Michele speak at a conference and have been following her ever since. I love her webinars, and if I cannot see them live I always go back, and listen. I have gone back to her webinars to listen for a second or third time! Thank you for all that you do. There is no question that Cynthia is the definition of a life-long learner as evidenced by her deep desire to improve, not just for herself, but because she understands it is necessary for the learners and educators she touches each and every day. Cynthia’s active involvement through social media takes the idea of life-long learning to a different level. It is her active participation in Twitter (and other social media platforms), as well as the contributions she makes through her blog, that demonstrates her eagerness not only to continually learn, but also her willingness to share her learning with others. Whether it be online or in person, one of her greatest gifts is her ability to make connections with learners and educators on a personal level, with her ultimate goal being to connect each person with a book containing a special story just for them. I am a relatively new librarian bred in Joyce Valenza’s backyard and drinking her same Kool Aid… and Michelle Luhtala has become another of my indispensable PD resources, one I regularly recommend to other librarians. Her webinars are always phenomenal — well organized, engaging, and thought-provoking. They are everything we all strive for with our own classrooms. Twitter chats and blog posts are equally as inspirational. Michele definitely helps me grow as a teacher librarian to best serve my students and teachers. Although I only know Michelle Luhtala through her professional communities and social media postings, she’s certainly has been an invaluable, vibrant resource to so many librarians. Her love, passion and cutting edge content of what a 21st Century library should reflect for our digital learners. We’re blessed to have Michelle spear-head our professional development through her informative edWeb.net webinars. Michelle’s outreach to the library community through EdWeb is a godsend to me. Without it, my access to quality professional development would be limited. Cynthia Alaniz is a wonderful champion for reading and libraries. She is a wonderful advocate for libraries. Cynthia Alaniz exudes a passion for libraries, literacy, and literature, and of course, cute shoes. But maybe more important is Cynthia’s ability to share her enthusiasm for good stories through social media. Her blog is a great source for literature recommendations, and her Bookshelves in Goodreads are high quality lists of the best she has read. She also frequently participates in Twitter chats about literature. We are lucky to have her voice in the profession. Cynthia Alaniz’s passion for children’s literature exceeds that of any other person I have met. In addition to her passion for books, she is a master of teaching and informing others about literature through social media. Cynthia has an incredibly strong work ethic which can be seen daily when she works in the library long past her contract hours. She is always ready with a book recommendation and kind word for those around her. Michelle Luhtala is a fabulous collaborator who adeptly incorporates technology to pursue research and literacy goals in the ever-changing landscape of education media and communication. She is a passionate educator who makes her work accessible and interesting to students by communicating with them in their sphere. She is constantly supportive of teachers in their endeavors to reach students and has a wealth of knowledge that students rely on to complete essential skill-building exercises that develop critical thinking and inquiry skills. Michelle is willing to stretch herself and her comfort zone to support both teachers and students. Her treasure trove of instructional videos and learning resources is invaluable to both teachers and students. Thanks for being awesome, Michelle! Susie Highley is an outstanding professional who helps connect librarians with resources and each other. When I first became a Media Specialist three years ago, Susie quickly reached out to me to help me get connected with the Indiana Library Foundation and AISLE. That provided me with a strong foundation knowing I had someone in my corner and a plethora of resources available. I am always impressed by and thankful for Susie’s posts to the listserv and the sessions she presents at conferences. She creates and maintains a PD calendar, provides information about helpful tools to use in the library and/or classroom, and promotes and participates in PD twitter chats. The sharing of her work and knowledge is valuable to us all. I first heard of Michele Luhtala when she was slated to be the keynote speaker at my first NCSLMA convention. I looked her up online and of course was led to her EdWeb webinars. I’ve since watched more of them than I can count. At the conference, her talk was so inspirational for me – she became my librarian role-model that day. While our schools couldn’t be more different, she’s helped me to see what is possible in our field and gives me something to aspire to bring to our rural students. These are all top notch curriculum people! I give a special shout out to Cynthia because every day I can find something on her Facebook to do with students. She has a way of getting students to go above what you might expect for each grade. She’s the epitome of teacher-librarian. New Canaan’s library program is recognized as one of the strongest and most robust programs in the state of Connecticut. A large part has to due with Michelle’s creativity and passion. Working with most media programs gives access to work with these talented professionals, and Michelle leads the way with technology and the drive to help her students achieve. I look forward to working with her for years to come. Congratulations Michelle! 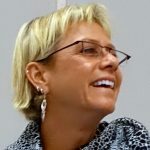 I have been a member of the Michelle Luhtala fan club ever since I discovered her webinars on edweb.net. I know that watching one of her webinars will be time well spent. The curriculum that she develops in collaboration with her teachers is always well thought out, well developed and timely. She uses technology to further the goal of the assignment or project, not just for the sake of using it. I was online today to find one of her archived webinars that I had missed. She does more to integrate information fluency into the curriculum than any other librarian I know. I am always in awe of what she has done. I am fortunate that I have signed up to be in her workshop at ISTE this June. I love when Cynthia’s avatar shows up in my twitter feed. I always know the information will be useful, entertaining, and often both! working in a lower school often has me on the lookout for like-minded professionals, and Cynthia is someone I admire and respect. I am chiming in to support Michelle Luhtala. Her extraordinary accomplishments in making relevant connections to curriculum have truly transformed teaching and learning not only in New Canaan, but throughout the world as her sphere of influence is that far-reaching. I am in awe of her brilliance and appreciative of her generosity in sharing best practice to advance the profession. I’m so happy to see Cynthia Alaniz recognized for her work. She is passionate about her work and is always ready to share what she reads or learns with others. She is also a beautiful person with a wonderful heart for kids. Congrats Cynthia! Michelle Luhtala has been a shining star of School Libraries as they forward the broad curriculum of schools AND as they embed in that process their own curriculum of critical thinking, validating resources, and more that builds them as stronger students and active citizens. Cynthia Alaniz is a powerhouse in Texas with her many facets of social media use that forward school libraries in many ways. I always read what she has to say! I attended Cynthia’s workshop at Scholastic’s Reading Summit in San Antonio last summer. Her presentation was so impressive that I waited to speak with her afterwards. She was friendly and spent time giving more information and her business card to this New England librarian who likes Texas. Cynthia is absolutely a credit to our profession! I can’t imagine anyone as deserving as Cynthia Alaniz for this award. 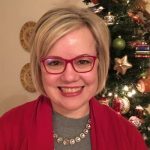 Her social media presence – particularly her consistent #txlchat leadership & participation – combined with her knowledge of and love for books make her THE choice for curriculum champion.